The College Primer Pack from Innovative Percussion is a set of three different educational products designed with input from today's leading percussion educators. Each package offers the necessary percussion tools for the beginner, intermediate, and college bound percussion student, all in one easy to purchase stick bag and at an economical package price. 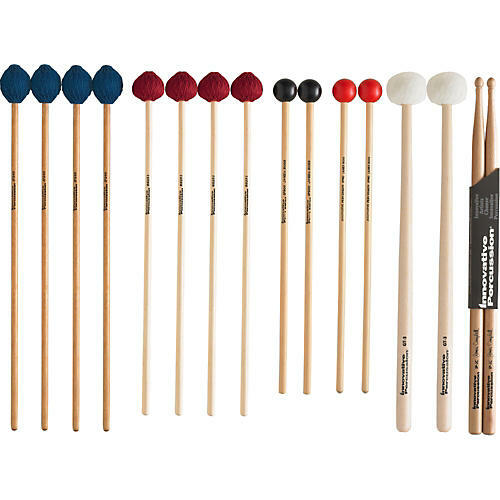 The set includes two sets of mallets each for the marimba, vibraphone and xylophone, with a set of timpani mallets and James Campbell concert snare signature drumsticks.